Opus 2 Orchestra will perform Saturday April 27th at 4 pm at Christian Life Church 900 Seventh Street Ext., Trafford. Our final concert of the season will feature pieces selected by our graduating seniors. Pieces you will hear include “Hallelujah” by Leonard Cohen, “A Million Dreams” from The Greatest Showman, and “Eleanor Rigby” by The Beatles. This year the seniors were very involved with their selections as they helped to create the arrangements of pieces being performed. Join us in celebrating our graduates as they come to the end of their journey with Opus 2 and move on to the next chapter in their lives. Young musicians from all over Pittsburgh's eastern suburbs perform with Opus 2, which is designed to provide performance opportunities and instruction beyond those provided by school and private lessons. Adult mentors and co-learners also play with the group. The director is Megan Martz, orchestra director of the Plum School district and an Opus alumna. A voluntary donation at the concert's conclusion will support the orchestra's expenses. For more information about Opus, please see opus2strings.wix.com/opus or follow on Facebook, Twitter, or Instagram. 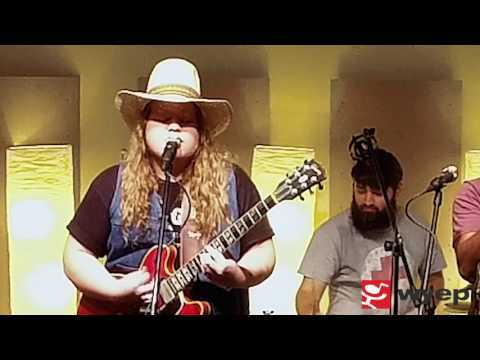 Marcus King Band "Carolina Confessions"
Enjoy discovering new music on 91.3? Donate now – it’s music made possible by you!